One commission that came through the shop called for a large group of shelving units. 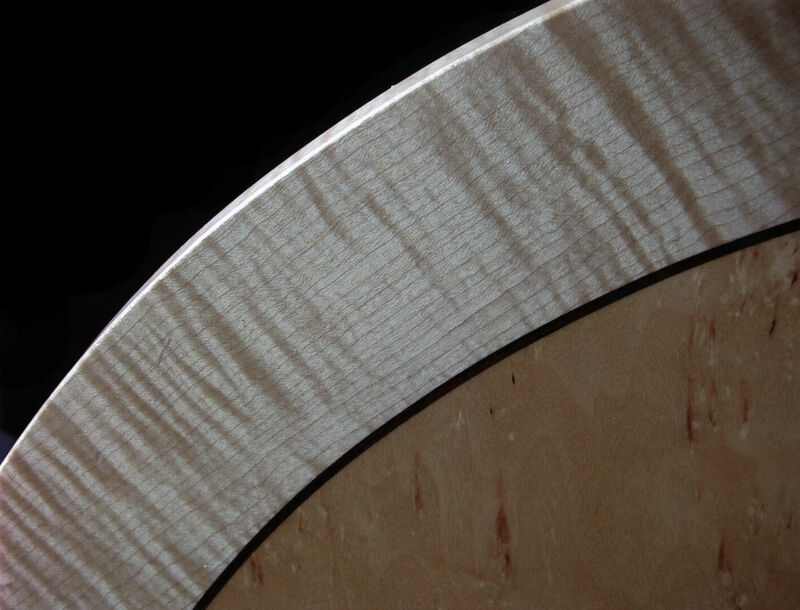 The job required twenty-some sheets of high-grade maple plywood and when it was delivered we were pleasantly surprised to find about six sheets in the load that sported a lightly spalted veneer. I set one sheet aside and later made this table top. 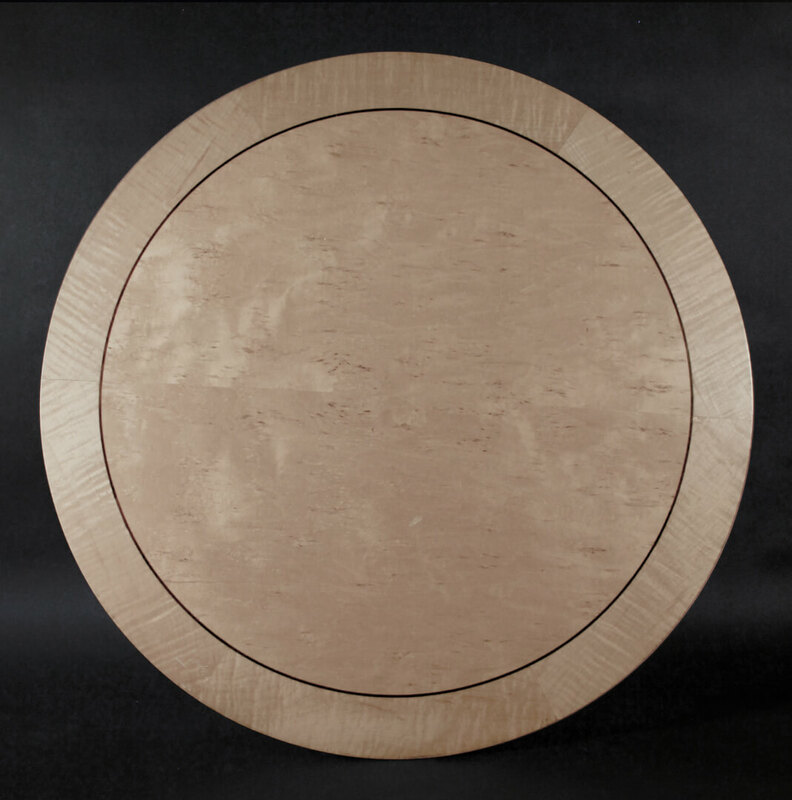 The circular center field is surrounded by highly figured solid maple and then separated by a rosewood inlay.